Some may recall the fuss that surrounded the banning of incandescent light bulbs here in the European Union. Our view, driven by the detailed industry knowledge of one of us*, is that this was something that could be taken care of by the market unadorned. If these compact fluorescent bulbs were all they were cracked up to be then people would adopt them voluntarily. And if they weren't then why should they be forced to? That was not the general view and the ban came into effect variously between 2009 and 2012, dependent upon the power rating of the bulb. Sadly, it was not in fact possible to simply swap bulbs: in order to get reasonable lighting effects many had to upgrade or alter, at some capital cost, their lighting systems as a whole. But still, no matter eh, because in this dim and flickering future of the CFL we'd all be saving so much money on electricity that we'd be happy anyway. By the end of the year, GE will cease production and sales of compact fluorescent lights (CFLs), the manufacturer announced this morning. Moving forward, the company's focus will fall entirely on halogen incandescents and on high-efficiency LEDs. Amazing, eh? The technology becomes redundant a mere four years after we're all forced to use it. The current replacement one, LEDs, was simply not ready for prime time those short few years ago. So aren't we lucky that we all got to be forced into this technological dead end for those years. Just what would we do without those Wise Solons telling us all how to light our own homes? 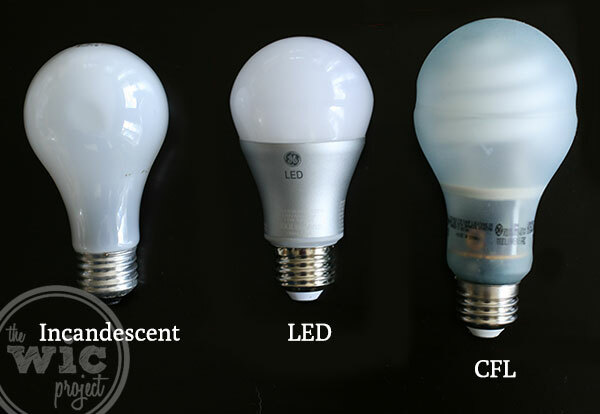 Other than, you know, being richer, freer and able to make the useful and important technological leap from incandescent to LED without having to mess around with CFLs in the interim? The lesson from this being that when politicians try to mandate the technology we must use they should be met with a volley of that Anglo Saxon invective which so enriches the English language. And we do, so much that it hurts, look forward to the studies on how much this lunacy has cost us all, that forced investment in a technology to be superseded in less than the claimed lifetime of one of those CFL bulbs. *No, no direct impact here, the interest is in halogens, the fourth technology not affected by any of this.